Lego Wars: Let boys build, let girls nurture. | askthe"Bigot"
The belief that men and women are unequal because they are different is an erroneous, yet all too commonplace, conclusion and it can lead to some really unconscionable actions. Featured in this disturbing scenario (since abandoned after public outcry) a teacher withheld Lego’s from the boys in her class in order to “level the playing field” for the girls who (GASP!) favor dolls and coloring during free play. She’s even succumbed to the sexist notion of “girl-colored” Lego’s (you know, pink and purple) but she just can’t seem to get the girls as excited as the boys are about the building blocks. In other words, Ms. Keller accepts that there might be a difference in color preference between the sexes but refuses to accept greater, more innately profound differences between them. She was so committed to the promulgation of her false ideology that she admits to lying to the the eager boys, promising that they’d have a turn with the Lego’s as she internally mused “when hell freezes over”. In her eyes, there was no real “gender equality” until the boys and girls not only had equal access to the Lego’s, but equal interest. The obvious problem is that Ms. Keller doesn’t get to decide what children are interested in because gender difference is not, as she desperately wants to believe, a “social construct”. Gender is a reality and as a result males and females, of all ages, tend to favor different activities. 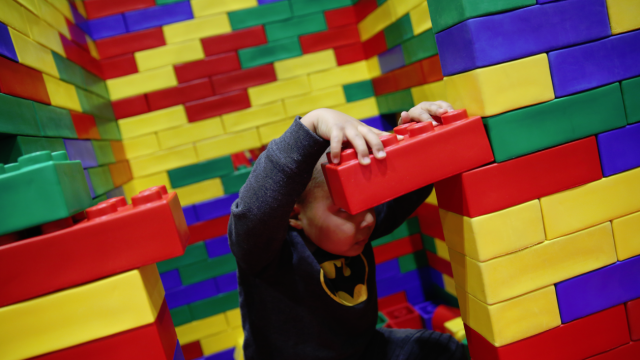 No one has to teach boys to love Legos, planes, and heroes. They simply do. Boys, and shockingly men, tend to find their worth in accomplishment. “Look at what I built”, be it a Lego creation, house, family, thesis paper, career or fortune, and that is a beautiful thing. Likewise, little girls don’t swaddle their stuffed animals for a nap because they can’t find any cars to play with (this mom of girls knows! ); it’s because females are born nurturers and that’s not something to be discouraged. It’s something to be celebrated. I’m not saying that girls can’t rock the Lego castle if/when they want to. I’ve got two daughters and two sons and Lego’s spilled all over my dining room table as I type. They all build with Lego’s but they don’t all lego the same way. The boys are laser-beam focused on the project, the fire-engine has to be exactly right, the tree-house must be sturdier than the last model. The girls? They spend the whole time talking and connecting, the end result an afterthought. The girls are more focused on building relationships, and the boys on building a rocket. And that’s… okay. Actually, it’s more than okay. It’s what makes the world turn. For proof that gender is a real phenomenon, Ms. Keller need look no further than the knee-high mirror in the girl’s bathroom down the hall. Despite her mission to deconstruct reality one classroom full of tender young spirits at a time, I wonder how it is that Ms. Keller hasn’t been able to escape the fabricated construct herself. Ms. Keller has chosen one of the most female-dominated professions in our country- 97% of pre-K and Kindergarten teachers are women. If biological differences do not influence our interests and behaviors, then what kept her from becoming a computer scientist, engineer or auto mechanic? Ms. Keller is a living-breathing example of gender differences and she, like most women, tends to favor work that emphasize care-giving and nurturing. From where I sit, it seems like Ms. Keller didn’t chose her profession. Her gender did.